A youth-focused brass ensemble that emphasizes music education, entertainment, and community impact. 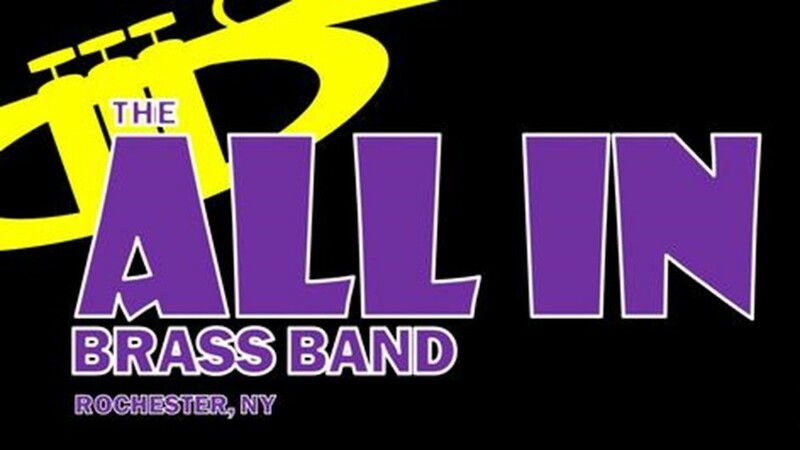 The All In Brass Band is a one-of-a-kind ensemble that combines the entertainment and audience interaction of the modern New Orleans Brass Bands with the energy and sizzle of Rochester drum corps. Open to youth brass and percussion musicians with “musical mentors” playing in the sections with the students. All teachers and mentors are chosen for their unique commitment to creating a positive and encouraging learning environment. Ages: Middle school age on up, perfect for high school brass musicians, also open to College-aged Mentors looking to learn about how to make a positive contribution to their community, even adult musicians and volunteers are welcome! Instrumentation: Brass Band/ Brass Ensemble/ Jazz Band Horn Section / Mini-Corps Style: Trumpet, Flugelhorn,French Horn, F Mellophone, Alto Sax, Tenor Sax, Trombone, Marching Baritone, Tuba/Sousaphone, plus a small marching drumline in the New Orleans "second line" style. Types of performances: Parades, standstill performances at community events, sporting events, charity events like 5K kickoffs. Educators and Mentors with experience creating some of the most electrifying street and stage ensembles in Rochester history. "All In Brass Band Style" means: Fun, entertaining, recognizable music that gets people moving. Tight and professional when we need to be, Hyped when we need to be. "All In" means the audience is "All In" too! We want to be act that everyone is talking about! Community Impact: The student-musicians will learn about the events and causes at which they perform. Guidance will be provided by local event organizers. The young musicians will learn that you can get more out of giving back than from sitting on the sidelines. Only requirement is that you are a "WE" not "ME" individual. 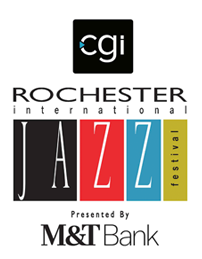 "I want the people of Rochester to look back on this group 50 years from now and call this a major success story in our city's history; bringing people from all backgrounds together to create a musical evolution, and be an example that other communities can duplicate. ... It isn't about What you play or How you play it... it's about Why"